Years ago the Indian culinary milieu was affected by a new cuisine. Any guesses what that was? It was our favourite the Chinese cuisine. However, the people of India didn’t quite approve of the food as it wasn’t as spicy compared to the Indian standards so appeared less tasty to the people. So now the Chinese chefs tried their hand at innovating and what was born is our very own Indo-Chinese Cuisine that till date is everybody’s favourite. Fancier dishes like August Moon rolls, Fiery Dragon Chicken now made their way to the menu list and undoubtedly the taste buds of Indians. Soon the Chinese understood the key to an Indian’s happy tummy and started adding a lot of masala and oil to their cuisine making it a glutinous combination. With the ever increasing demand for Chinese dishes, the Chinese started experimenting with a lot dishes and gained quite popularity. As we all know so did the Chinese that there is at least one vegetarian in every Indian family hence the Chinese introduced vegetarian dishes like Indian paneer got a fancy name and was now called chilli paneer and our favourite chicken curry got substituted by Cantonese Chicken. The most innovative of them was the introduction of the Manchurian sauce. Now you must be wondering why Manchurian sauce and that too why will it be poured on vegetables like potato or cauliflower. Well, that’s a question of Manchurian sauce poured on Gobi (cauliflower) would instigate the taste buds of people and the Chinese knew their skills well. 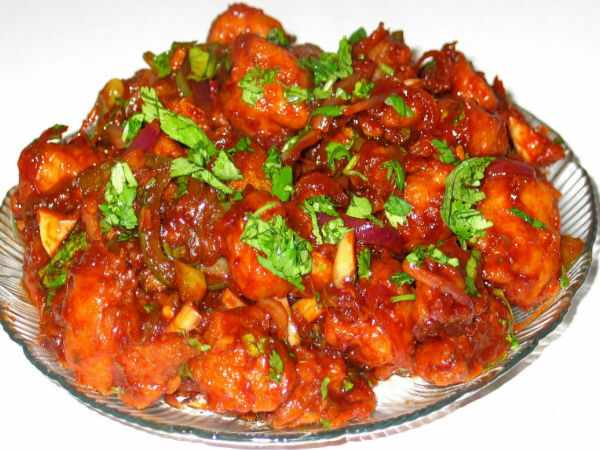 Gobi Manchurian Gravy is the outer limit of Indian Chinese friendship that is decades old now. You must be wondering why Manchurian, that is a common question. In India Manchurian is the most common of Chinese dishes and still in great demand all across India. How is Manchurian Gobi prepared? It is an Indo-Chinese dish as we all know, where the cauliflowers are cut into cubes and dipped in a batter containing corn flour, maida flour, spring onion, capsicum, soy sauce, chilli sauce, minced garlic, ground pepper, etc., however, to make the dish spicy or less spicy people often innovate it accordingly. Like any other Chinese dish it is best served with fried rice or noodles but that way it has to be gravy, as goes the preference of people it is often taken as a starter with a nice bowl of chicken sweet corn soup or chicken clear soup. It has been decades since Gobi Manchurian was invented yet today it continues to give people the same kind of scrumptious happiness as it did when it was first invented. Though cauliflowers are found throughout the year so gobi manchurian Gravy is available all twelve months yet during winter when new cauliflowers come to the market those bring out the real taste. The fresh smell of cauliflowers when mixed with various colourful spicy sauces brings out a heavenly dish which is rich in aroma, colour and taste. Are already thinking of some? This dish is lip smacking and one cannot help but fantasise over it. Give your fantasy a reality touch and treat yourself to some Manchurian Gobi for your supper or the next time you are meeting a friend for dinner.